Full Name Patrick Oswald Cattley . 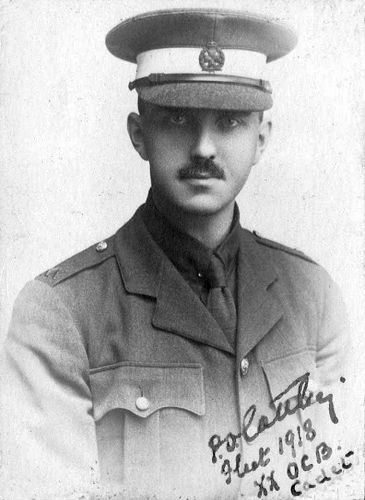 Patrick Cattley was born in 1879 at St Petersburg, Russia, to Oswald and Margaret Cattley. His father was a mine manager living and working in Russia . He was educated Repton, and became a Mining Engineer . In 1912 he married Nina Basmanoff. In about 1920 he went to live in Harbin, Manchuria, where he was a merchant for coal-mining company ,. On retirement he lived in Bayswater, then Hastings .
. Lt. Patrick Cattley of the Inns of Court OTC. Fleet, 1918 .